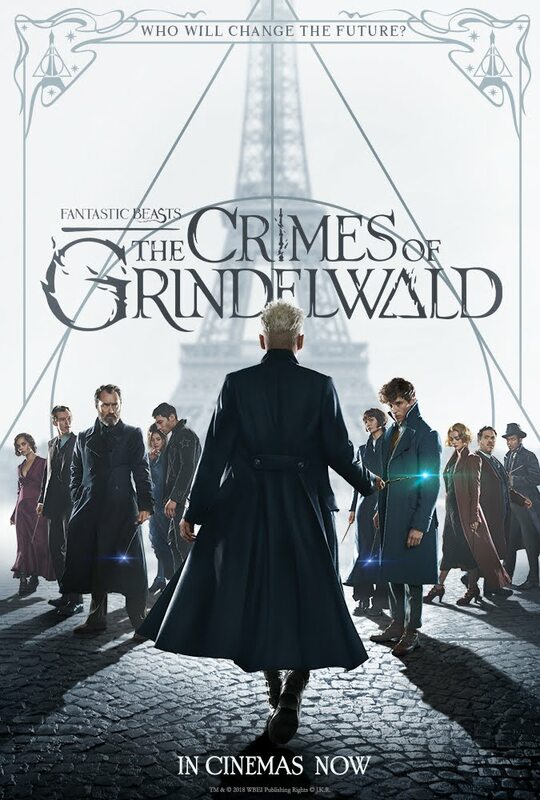 Fantastic Beasts: The Crimes of Grindelwald is the second in a series of five Harry Potter prequels being written and produced by author J.K. Rowling. The movie was directed by David Yates who made the original Fantastic Beasts as well as Harry Potters 5 through 8. 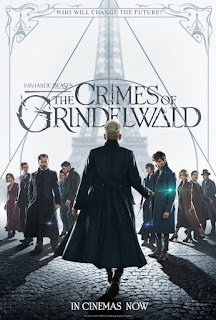 Set in 1927, the film unfolds six months after the first which ended with the apprehension and imprisonment in New York City of the evil Gellert Grindelwald (Johnny Depp). However, while being transported across the proverbial pond to Europe, the dark wizard escapes his captors with the help of his minions. Next thing you know, he's hatching a diabolical plot to establish a new world order by breeding a race of pure-blood witches and wizards to rule over all “muggles,” aka ordinary people. Ultimately, the hope for saving humanity will rest on the shoulders of the picture's protagonist, Newt Salamander (Eddie Redmayne). This good wizard is a “magizooligist,” meaning he has an army of supernatural animals at his disposal. Trouble is, Newt has been grounded by the British Ministry of Magic since inadvertently making such an embarrassing mess in the Big Apple during FB1. Following a successful appeal of the harsh sentence, the unassuming hero's wand and travel rights are restored, setting in motion a series of events leading to an inevitable showdown with the megalomaniacal Grindelwald. 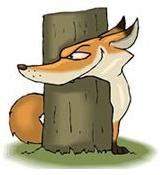 Still, the deliberately-paced tale takes a number of nostalgic detours prior to the monumental clash of good vs. evil, thanks to Newt's fervent desire to remain neutral. So, we're first treated to a string of extraneous subplots, like distracting sidebars revolving around reunions with Professor Dumbledore (Jude Law) and Newt's old flame, Leta Lestrange (Zoe Kravitz). Diehard fans of the franchise are apt to appreciate such time-filling folderol while average audience members might grow increasingly impatient for the visually-captivating action sequences. Overall, FB2 proves to be an entertaining episode ending on an engaging enough note to keep you curious about the next offering in J.K. Rowling's incomparable Wizarding World series.